I made this for my in-laws who are cat mad! Sewn onto Dawn Bibby card. Stunning, I love cats too and this is just stunning ! A beautiful card. I really like the cats. 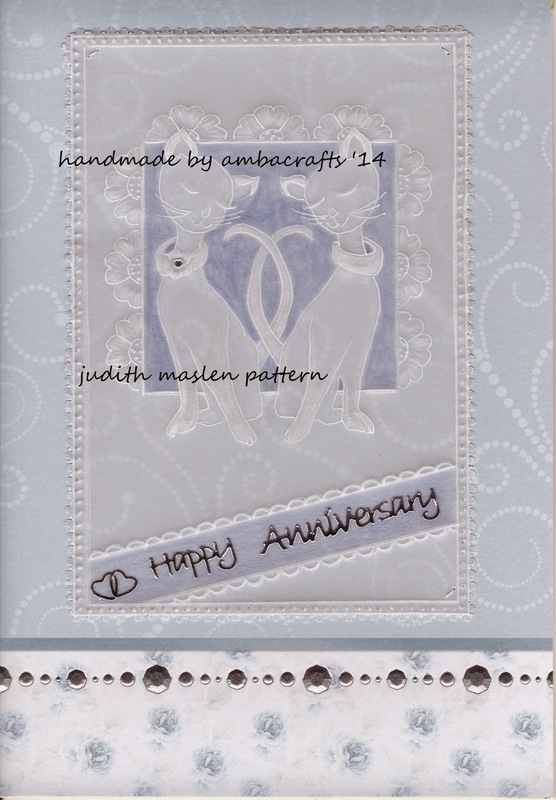 Oh Alison what a lovely design love the pair of cats. Hi Alison, this is gorgeous. I can't believe I haven't found you before. I just picked your blog up through Squirrels World on a comment you made and recognised you. Love those cats, they look so elegant.